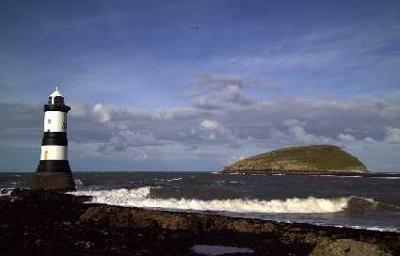 Here are the Autumn 2009 events for Friends of the Anglesey Coastal Path. All are welcome. Llangoed and Penmon. 6 miles. Meet at the car park in Llangoed at 10.30am. GR 611797 for a walk along the coastal path to Penmon Point and Priory. Sorry, no dogs. Walk Leader: Rosie; 01248 752495. A medium grade circular walk through Newborough Forest to Llanddwyn Island. Meet at the Forest car park just off the A4080 between Malltraeth and Newborough, at 10.00am. GR412672. Walk Leader: Ed. 01407 840600. Meet at the car park in Moelfre at 10.30 am. GR 511863. A classic walk along the cost to Traeth Lligwy returning along lanes and fields with a visit to Din Lligwy. Walk Leader: Ron 01407 742788. Meet at Benllech beach car park at 10.30. Walking inland to Llanbedrgoch, down to Red Wharf Bay and back along the coastal path. We’ll also look for Greenly’s Pipe (a geological feature near Castle Rock). Walk Leader: John 01248 752075. See here for more information on Paul Mattock photography.